at 710-075 Sunnyside Road, Janesville, CA (District 3) on March 11, 2016 ? County Clerk says no. 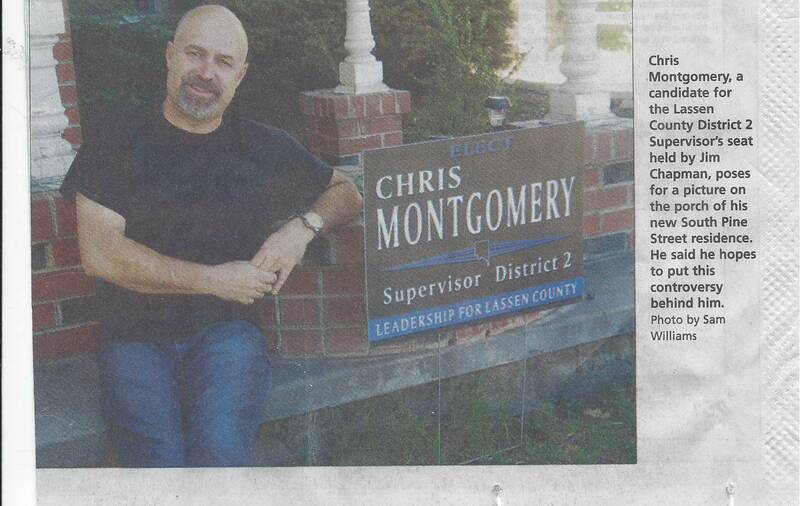 Bustamante claims that Montgomery registered to vote, in January, stating he lived at 250 S. Pine Street, Susanville (District 2). Montgomery lived in Janesville, District 3. 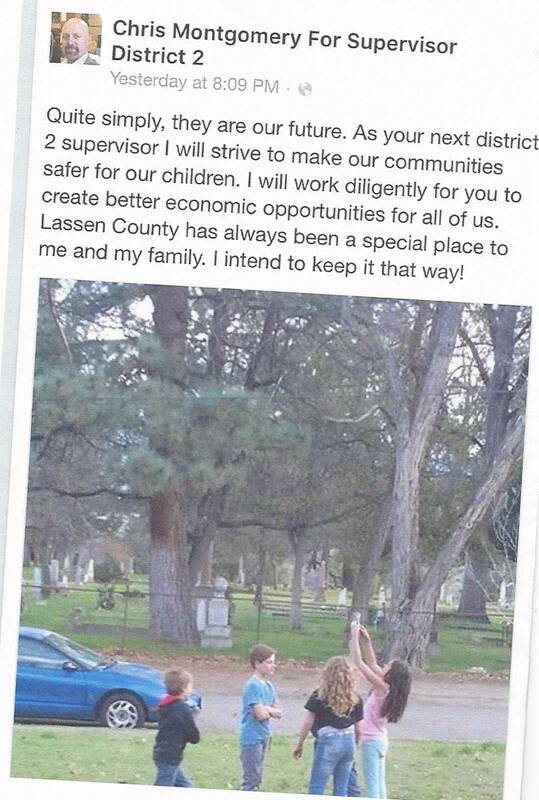 He was moving to Steve Pezzulo's property in Susanville so he could run for District 2 Supervisor. 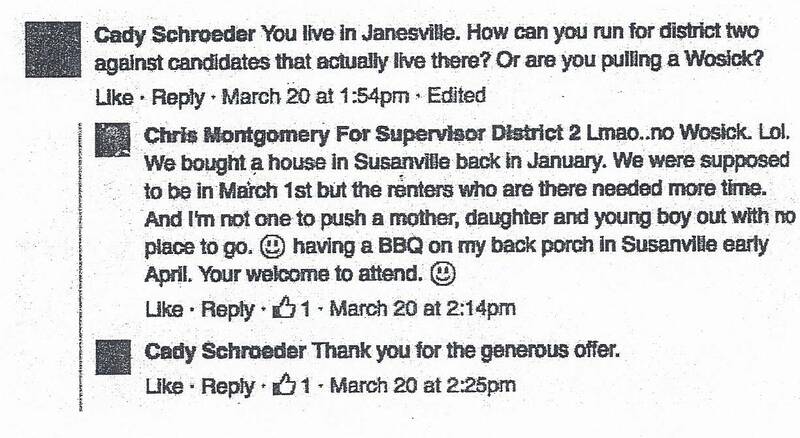 The Montgonmerys lived in Janesville when Chris Montgomery falsified his Candidate papers. Steve Pezzullo submitted an application to the Lassen County Assessment Appeal Board to have his taxes reduced on the Amedee Airfield parcels he purchased under HSP Resources claiming that most of the 3,576 Acres are un-usable due to contamination and now he finds out that he can't rent the Army's Amedee Airfield. The contamination of this property was included in the RFP. HSP Resources claimed they were going to bring in business with private planes landing on the Army's Airfield. The value of the 3,576 Acres had been assessed at $521,000 after the land was sold to a private party. On March 23, 2017, the Assessment Appeals Board reduced the value and the 3576 acres will be taxed on $393,277. 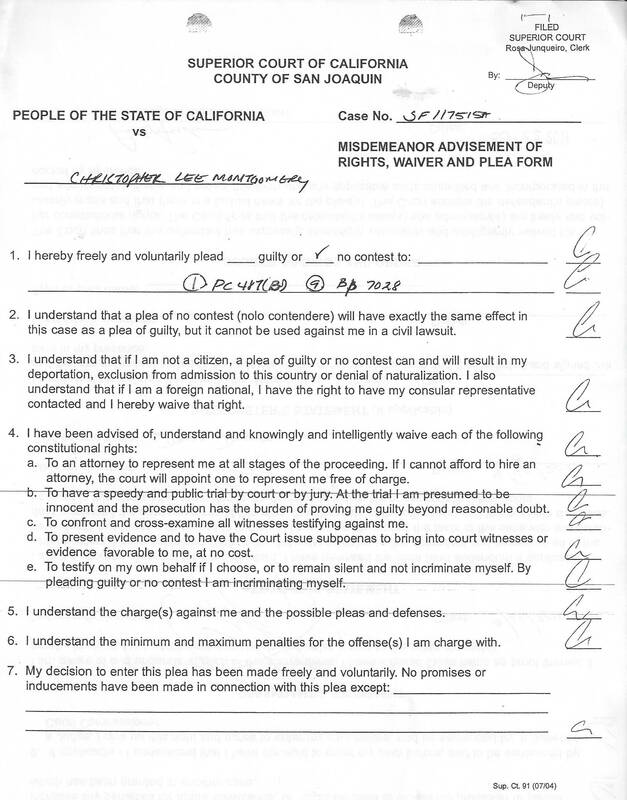 THE VOTERS SAID "NO WAY"
Chris Montgomery submits his Candidate documents, under penalty of perjury, that he resides at 250 S. Pine Street, Susanville, CA. 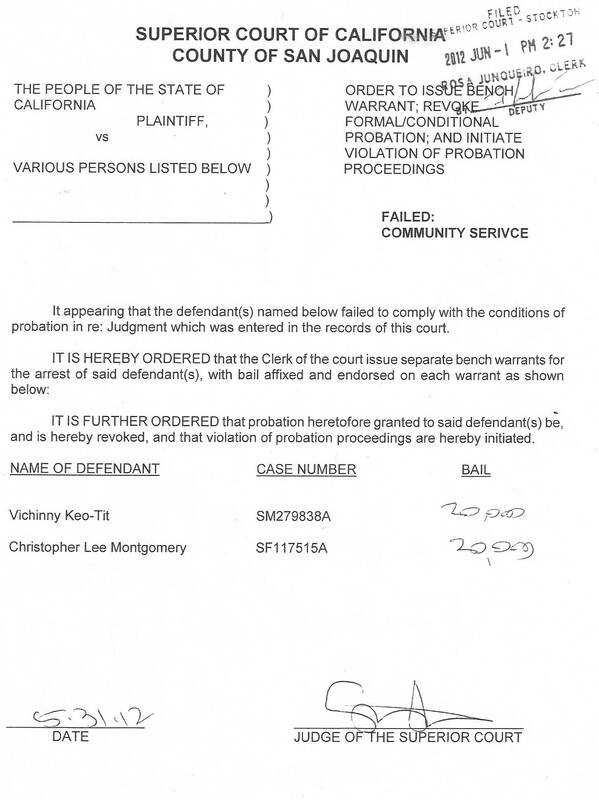 Chris Montgomery claims that he bought a house in Susanville in January/ 2016. THAT WAS A TOTAL LIE ? "Stephen" Pezzullo owns 250 S. Pine Street, Susanville, Ca. In 2014, Steve Pezzullo ran for Supervisor in District 2, and lost. 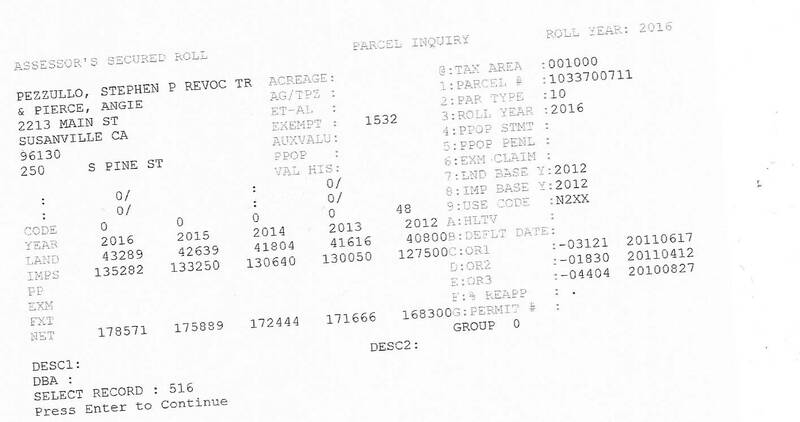 In 2015, Steve Pezzullo filed a complaint that the Assessor removed the Army's Amedee Airfield parcel from his purchase of public property in Herlong. 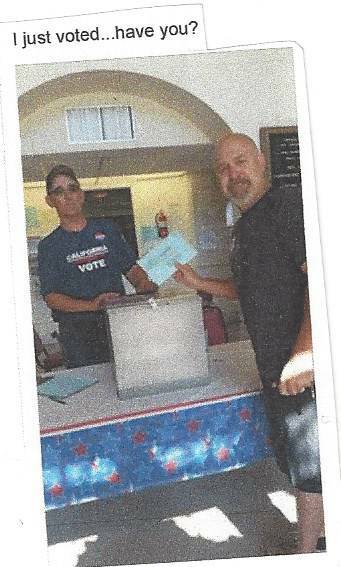 In 2015, Steve Pezzullo filed a complaint against the Assessor for "not living in Lassen County". District Attorney Stacey Montgomery took this to trial, for Pezzullo, but the case was dismissed. 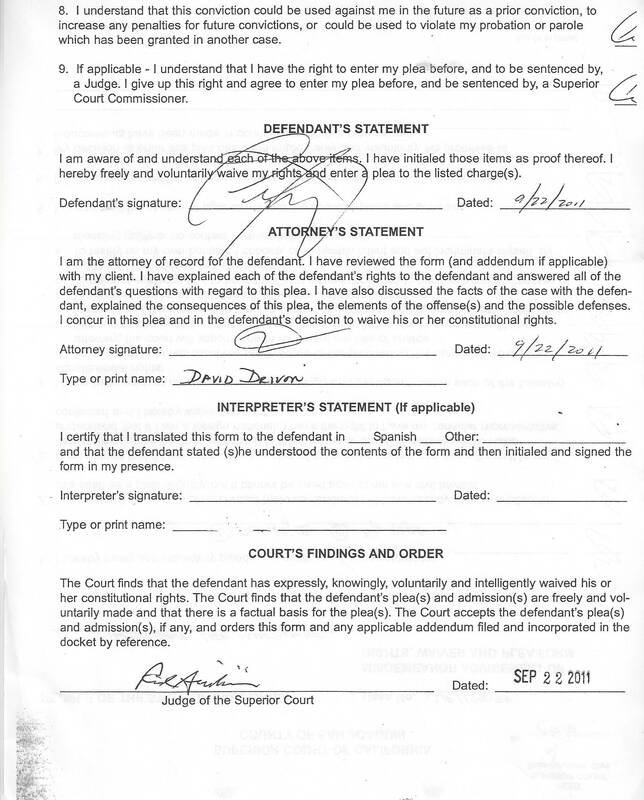 In 2016, the DA Stacey Montgomery is involved with Pezzullo and his property in Susanville so that her husband can run for election in a District he does not live in. Montgomery then uses this house in political ads ? Did he disclose this on his Candidate Application?